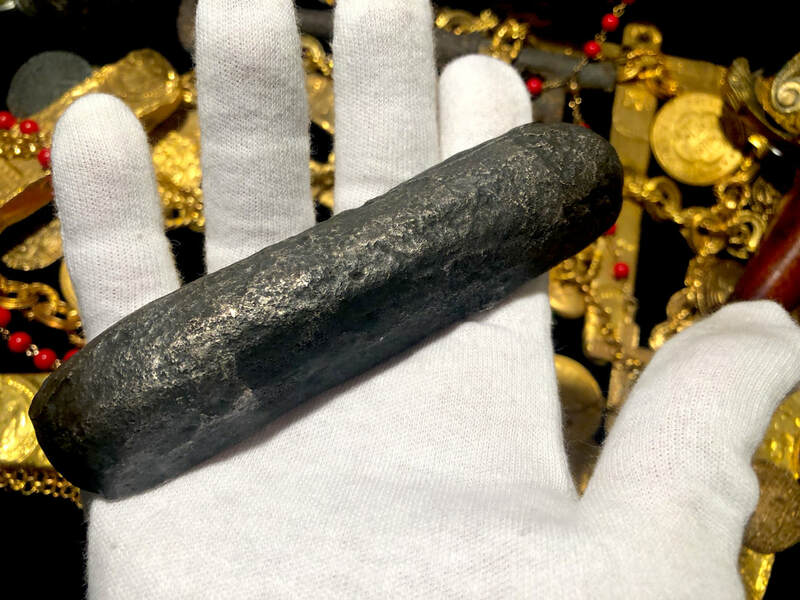 PIRATE SHIPWRECK SILVER BAR 1656 MARAVILLAS FLEET ATOCHA ERA 570gm TREASURE This REAL SILVER TREASURE SHIPWRECK BAR weighs 570 grams, referred to as a Finger Bar and measures approx. 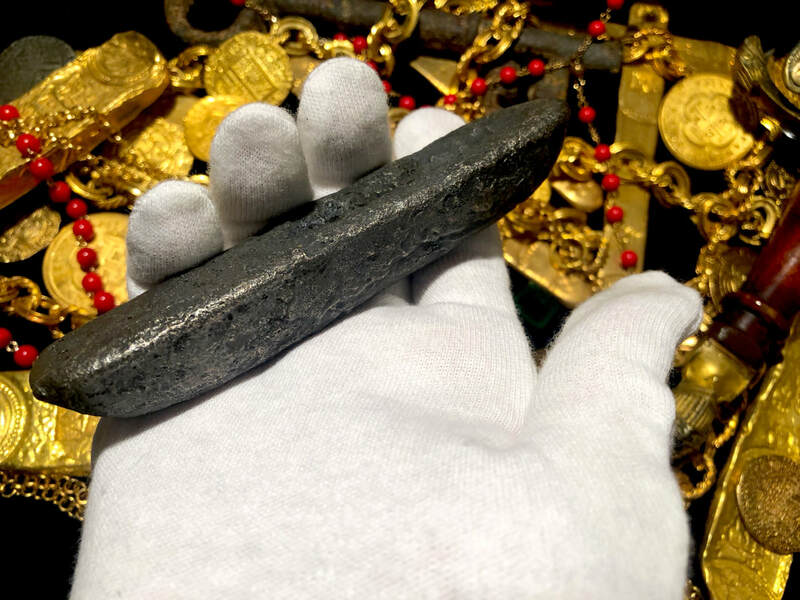 5” x 1.5” x 1” (finger shape). Estimated to be approx. 90% Pure fine Silver and was recovered from the 1656 SHIPWRECK MARAVILLAS (off the Grand Bahamas Island). Comes with COA! 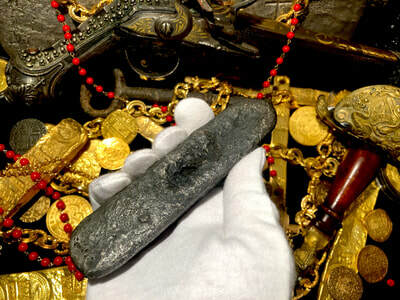 The Bar is darkly toned with patches of black encrustation still adhering. 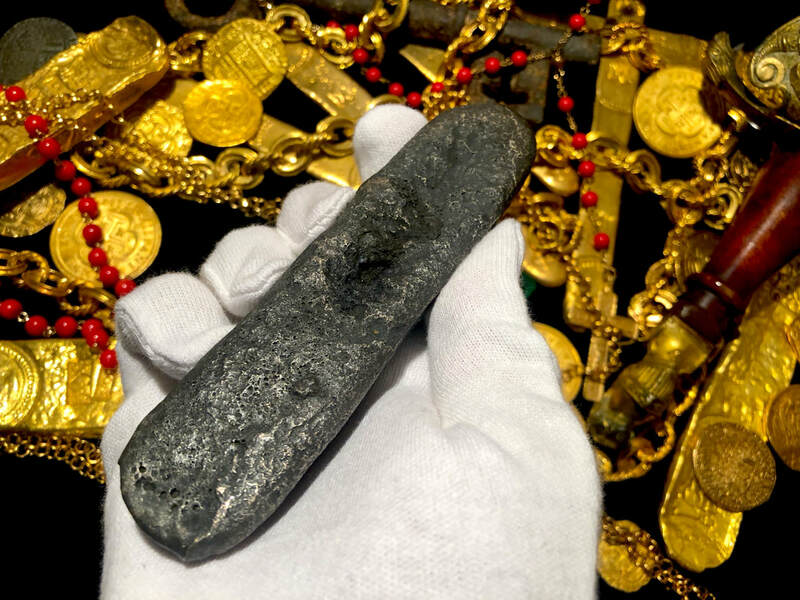 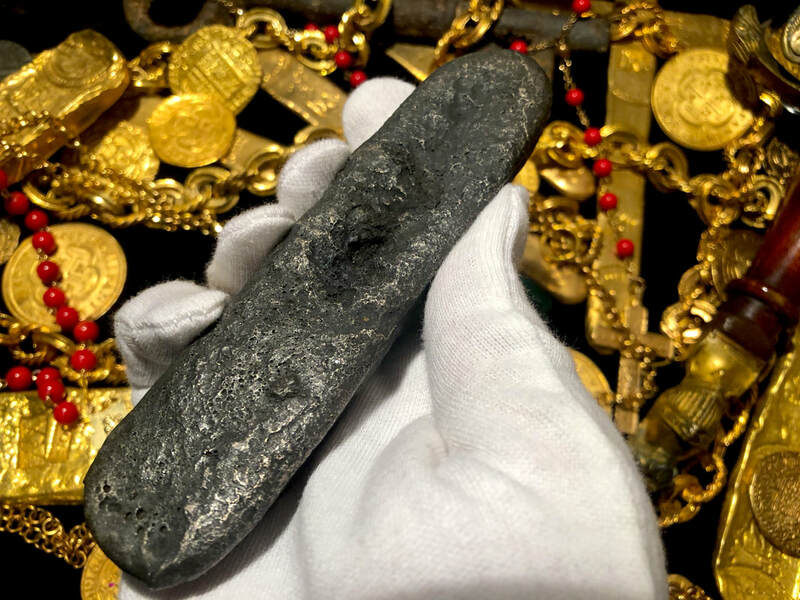 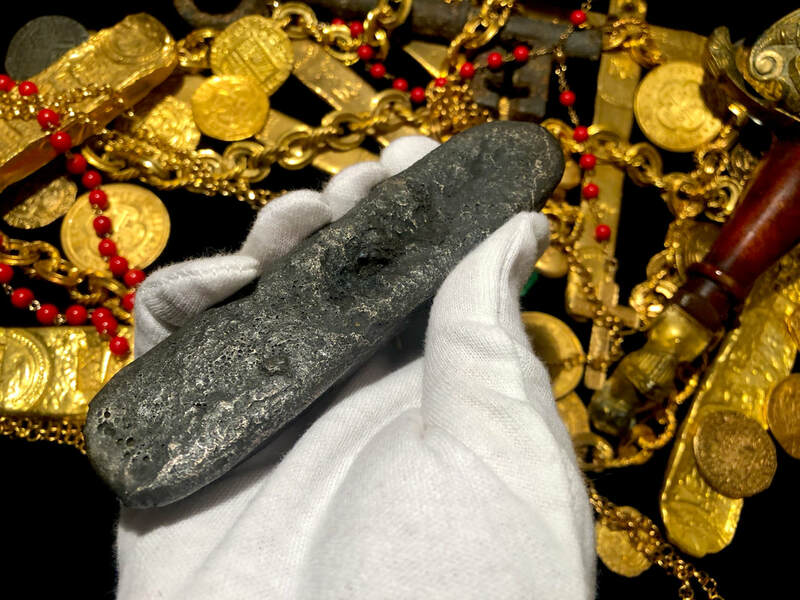 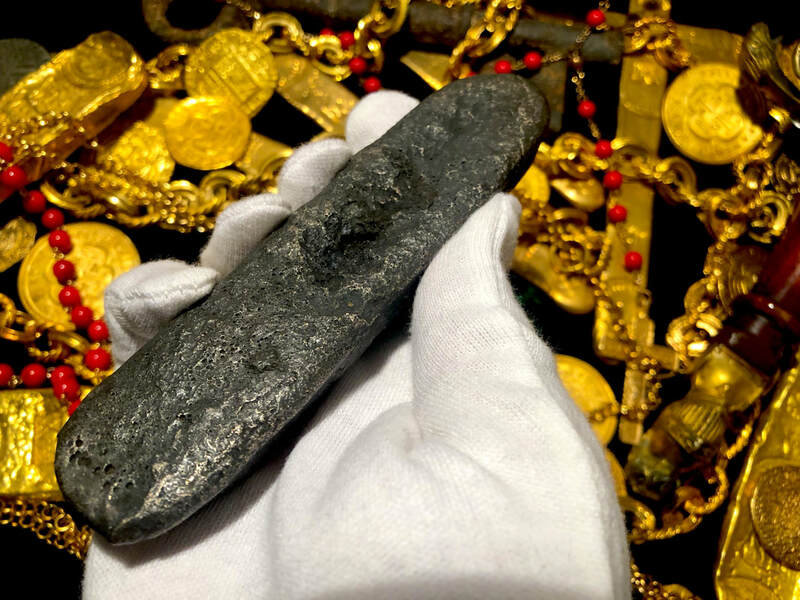 Void of any markings tells us this piece was “Contraband.” This “MARAVILLAS” fleet was homebound for Spain in January 1656 (Nuestra Señora de las Maravillas) was officially filled with over 5 million Pesos of Treasure Plus all the Contraband (which this bar was part of). This Galleon carried much of the Treasure from the 1654 Capitana Shipwreck that wrecked off the Chanduy Reef off Ecuador. 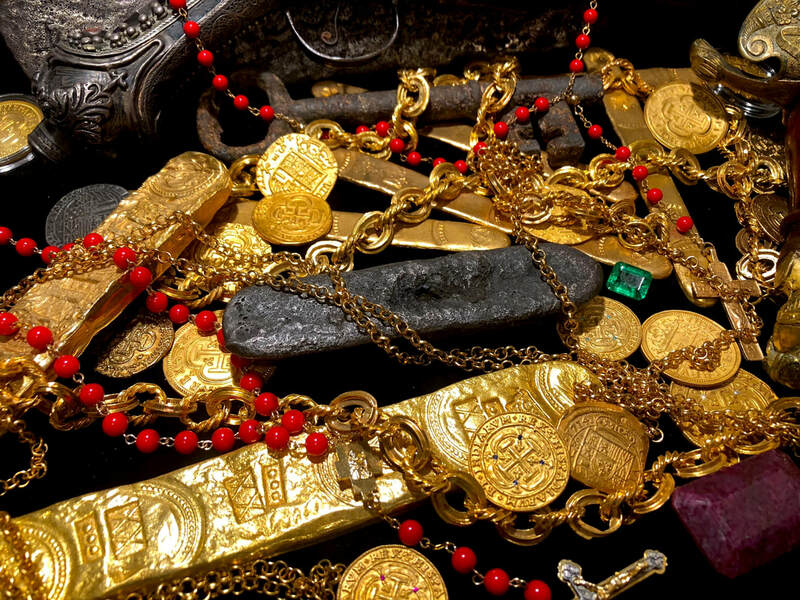 This Cursed Treasure fell the depths of the Ocean floor once again on the Maravillas after it ran into shallow waters and was subsequently rammed by one of the other Galleons in its own Fleet, forcing into on a nearby reef on Little Bahama Bank off Grand Bahama Island. Almost all of the 650 people died that night and the wreck was scattered. Still over half of the Treasure is unfound. 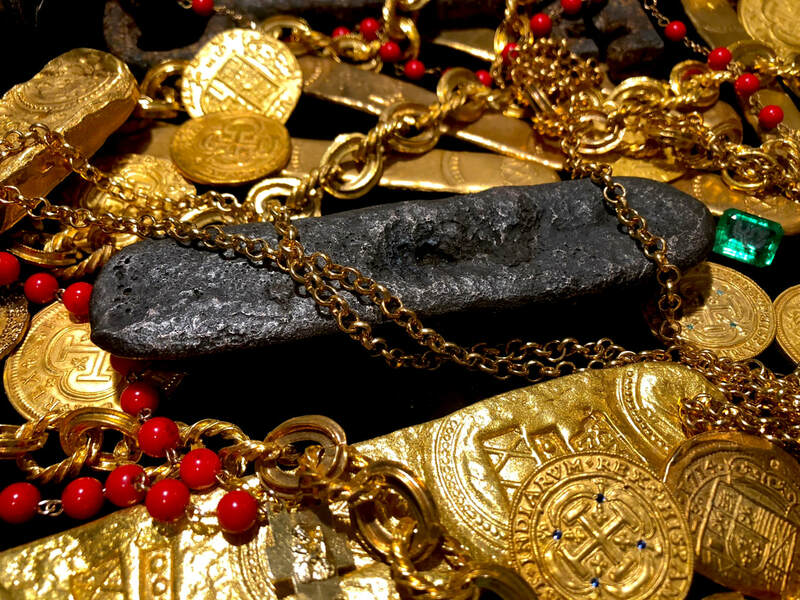 Then in the 20th century Robert Marx once again located this Shipwreck (and his co. Seafinders in 1972 and his finds were offered in the Famed 1972 Schulman auction (as well as in 1974) in New York.